The Washington Post informs us in an article titled "For Mideast Envoy, Rookie Status May Be an Advantage," that the "lack of experience in the Middle East" of the new U.S. presidential Middle East envoy (or more formally, "Chief, U.S. Coordinating and Monitoring Mission for the Middle East peace process"), John S. Wolf, "is actually an advantage because it is difficult for either side to believe he approaches the conflict with a preconceived bias." To back this up, the article quotes a senior administration official saying that "It's a good thing that he has exceptional negotiating skills and very little direct experience in the area." In further confirmation of this sentiment, a senior Israeli official recalls that shortly after his appointment, Wolf "was very humble; he said he knew nothing about the region and the conflict." By the time Wolf had returned from his first trip, however, "he was very well-versed, understanding the nuances and knowing all the personalities." 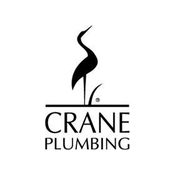 Crane plumbing's well known logo. For those familiar with U.S. policy in the Middle East, this attitude brings to mind the International Commission of Inquiry (commonly known as the King-Crane Commission) dispatched to Palestine and Syria in 1919 by President Woodrow Wilson to ascertain the wishes of the residents of those areas concerning their political future. Henry C. King's qualification for this job was to be president of Oberlin College; Charles R. Crane's was the fortune that his family's plumbing fixture company afforded him. It was not secret that the pair were monumentally ill informed about the region they were to investigate, yet that was seen as an advantage. An presidential aide explained that Wilson "felt these two men were particularly qualified to go to Syria because they knew nothing about it" (Paris Peace Conference, 1919, Vol. 11, p. 133). 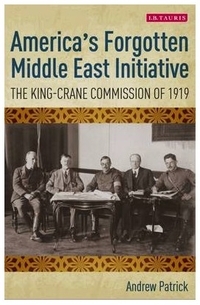 The King-Crane Commission's report was, in the assessment of Elie Kedourie, "as ill-informed as its influence on policy was negligible" (Elie Kedourie, England and the Middle East: The Destruction of the Ottoman Empire, 1914-1921. London: Bowes & Bowes, 1956, p. 147). (1) Who would have imagined that 84 years later, American presidents are still in thrall to this hoary "innocents abroad" outlook? (2) Given the woeful state of Middle East studies today, perhaps avoiding specialists has become a wise decision. 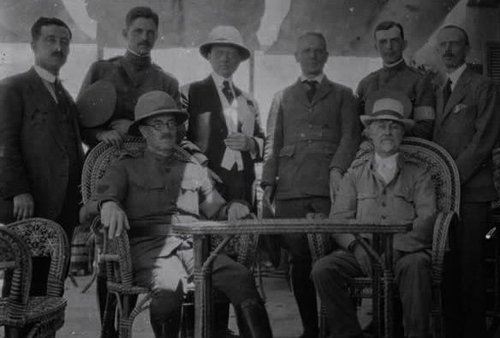 The King-Crane Commission, July 1919, at the Hotel Royal in Beirut. Seated left to right: Henry C. King and Charles R. Crane. Standing left to right: Sami Haddad (physician and interpreter), William Yale, Albert H. Lybyer, and George R. Montgomery (technical advisers), Donald M. Brodie (secretary), and Laurence S. Moore (business manager). Aug. 16, 2004 update: Like the King-Crane Commission, John Wolf's diplomatic foray had negligible impact. Today he became the president of the Eisenhower Fellowships, a Philadelphia-based non-profit. March 15, 2006 update: The announcement of the Iraq Study Group members again recalls the "know-nothing" approach. James A. Baker, III, and Lee H. Hamilton serve as the group's co-chairs, with Robert Gates, Rudy Giuliani, Vernon E. Jordan, Jr., Sandra Day O'Connor, Leon E. Panetta, William J. Perry, Charles S. Robb,and Alan K. Simpson as the members. Not one of these individuals brings any expertise in Iraq to the table, virtually guaranteeing that the commission will produce a politically nuanced but strategically useless report. Dec. 12, 2006 update: The Iraq Study Group Report is out and it is even more of a know-nothing disaster than I had expected. For a full analysis, see my article today, "James Baker's Terrible Iraq Report." Nov. 9, 2016 update: I add a new case – that of Gary Johnson and Syria – and synthesize these examples in an article in the Washington Times today bearing the same title as this weblog entry, "America's Know-Nothing Diplomacy." Mar. 24, 2017 update: Trump's nomination of John J. Sullivan, a prominent Republican lawyer who has never worked in the State Department, prompted a positive comment from James Carafano of the Heritage Foundation: "He doesn't bring any policy agenda, and he isn't part of any foreign policy tribe. He is a very talented, hard-working person of the highest order, super capable." Trump comes to the scene as a political outsider, unburdened by the failed diplomatic frameworks of the past. He brings his business perspective and experience, in which deals are based on mutual interest and mutual gain, and more concerned with good outcomes than the pageantry of the process.